Arnold Iron Cre3 is a fitness supplement that is intended to supply sufficient amount of creatine to the body in order to help users improve his workout functions and overall performance. This particular supplement is also appreciated for its reasonable price compared to similar other products. Though it is a fact that there’s no definite clinical evidence on creatine nitrate being effective, Arnold Iron Cre3 possibly generates outcome greater than other products containing creatine. As indicated by its product name, Arnold Iron Cre3 is associated with celebrity Arnold Schwarzenegger. This alone constitutes to the product’s credibility since the actor wouldn’t associate his name to anything ineffective. If you’re not convinced, then using it yourself is the best way to know for sure. You can also compared it with similar other supplements. From his internationally recognized stint as the lead in all Terminator films to being the governor of California, Arnold is no stranger to power. Being a bodybuilder himself, he surely has both the knowledge and experience. So, now that he’s allowed his name to be used for a new line of fitness or workout products, such as Arnold Iron Cre3, everyone wonders if this supplement could generate positive effects. This particular supplement is now the sole product in MusclePharm’s new product line containing creatine as main component called the Arnold line. According to advertisements, Arnold Iron Cre3’s creatine supplementation doesn’t need filling and has a distinctive type of creatine that is 10 times stronger than creatine monohydrate. Before making a purchase, it is of course necessary to examine the product, its ingredients and other important factors when it comes to choosing a brand. What are the Components in Arnold Iron Cre3? Creatine Nitrate – Athletes and bodybuilders utilize creatine for the purpose of boosting muscle power and force when performing rigorous workouts. In this particular supplement, nitric acid molecules have been fastened to creatine. Furthermore, nitric acid makes nitric oxide, which is a gas that boosts the circulation of blood. Arnold Iron Cre3 touts to transport creatine to the muscles at a much faster pace. This is made possible by quicker nitric oxide-guided nutrient delivery. On the other hand, there’s no clinical proof for this. There aren’t any researches published scrutinizing the results when using creatine nitrate. Hence, more studies need to be conducted in order to reach a determination. Taurine – this ingredient is a type of amino acid that is frequently used in energy drinks and workout products designed for improving the user’s athletic functions and overall performance. Basically, taurine reduces the accumulation of lactate, which is a component that causes the exhaustion of muscles. Moreover, in researches using humans as test groups, the typical dose of taurine is 1.5 to 2 grams of taurine. This is higher than the dosage in this specific supplement. L-Glutamine – another form of amino acid that’s able to lessen the buildup of ammonia. However, studies demonstrate that consumption of glutamine before undergoing strength training does not significantly facilitate muscle development benefits, not does it boost one’s ability to lift heavier loads. Muscle building products using creatine such as this one are primarily consumed prior one’s training session to guarantee that the muscles have abundant creatine supply for increasing the user’s workout performance. To use this properly, combine a packet of Arnold Iron Cre3 with 8 oz of water and drink it 30 minutes prior to starting your workout. It is claimed that you will feel instant surge of energy that’ll get you ready to undergo intense workouts. It is suggested to examine how this supplement will affect your body by using Arnold Iron Cre3 anytime in the span of an hour before you start your training in order to see what can provide the greatest outcome. For instance, if you allot over an hour lifting weights, taking Arnold Iron Cre3 15 minutes prior your training could provide you higher level of energy in the final half of your exercise. Though many sites list that Arnold Iron Cre3 costs $45, most websites actually just sell it for $23-$25 for a container with 30 servings. This is actually reasonable for a creatine supplement since most products like this is priced at $35 per container. On the other hand, this supplement only contains 1 gram of creatine for every serving. But this is because the company’s saying that the creatine it holds is more efficient than creatine monohydrate. Still, some customers might not be into products that only have little creatine content even if it’s cheaper. Is Arnold Iron Cre3 the Real Deal? Since Arnold Iron Cre3 isn’t costly, many buyers would feel secure purchasing it because, well, it’s cheap. Even as clinical evidence on creatine nitrate is inadequate, Arnold Iron Cre3 is more apt to generate outcome as effective as, or even greater than similar creatine supplements. It’s not like Arnold Schwarzenegger would allow his name to be connected to a product if he doesn’t believe it’s effective. 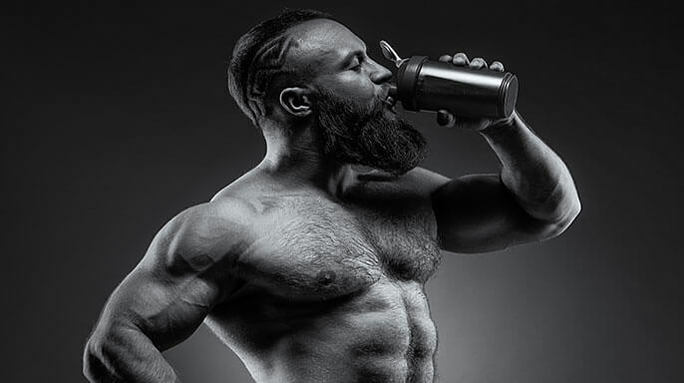 In the end, the most efficient means to evaluate a supplement is to use it yourself and weigh it against other creatine supplements in the market.